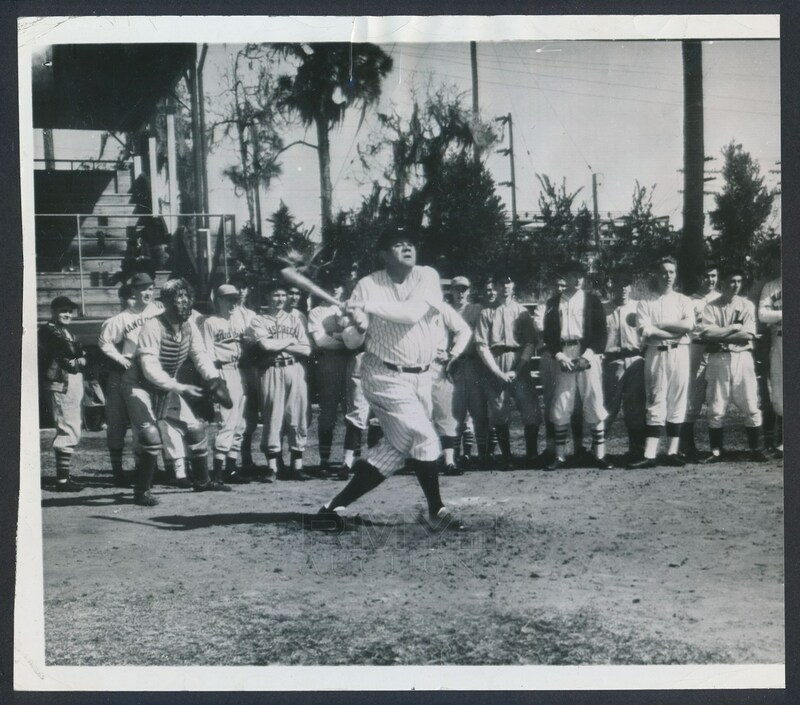 Large 1940 horizontal action photograph of Babe Ruth from the New York Yankees as he takes a taste of the fountain of youth and takes some hacks in Florida to a large crowd. 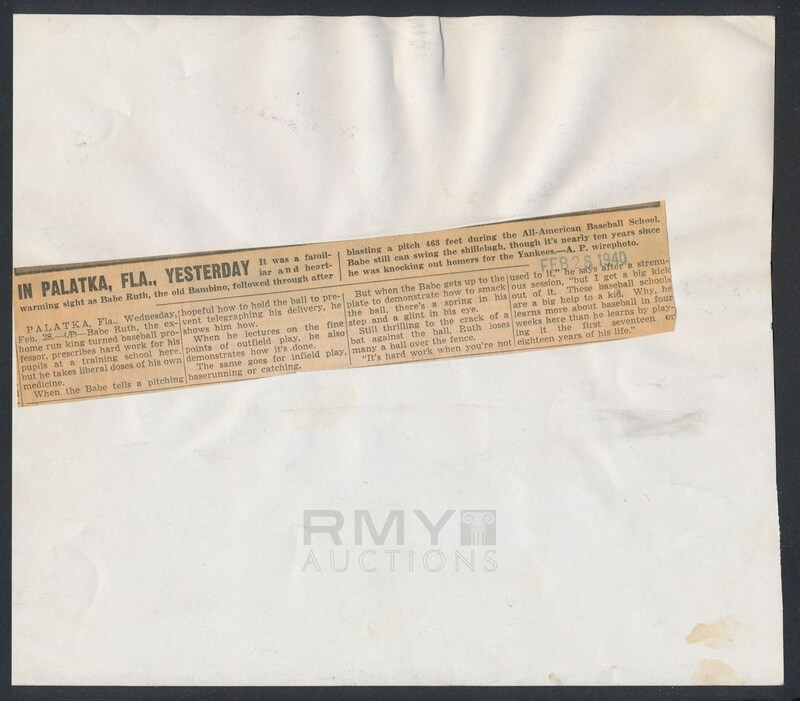 A rare image in pretty nice shape, this is stamped on the back with the date and a large newspaper article describing the event. Photo has a few creases at the corners and one at the top but it presents well.